Willie Boo Smith was born on May 24, 1957 to the late Charlie Smith, Sr. and Ann Crawford in Warren County, North Carolina. He departed this life on November 20, 2018. Boo was baptised at an early age at First Baptist Church, in Macon, North Carolina. He began his formal education in Warren County Schools. He would later go on to work in farming and textiles, before beginning his life-long career at Glen Raven (later "Sunbrella") where many of his co-workers became like family to him. From an early age, Boo took a keen interest in music, dancing and horseback riding. Every year, he took great joy in participating in the Annual Posse Ride in Manson, North Carolina. He was well known for his ability to raise, train and care for horses, as well as so many other animals. One of his life-long goals was to establish a horseback riding program for children of all backgrounds that would introduce the youth to the joys of riding horses. He knew the power of love and he demonstrated it wherever he He also enjoyed spending time with family and friends laughing, smiling and singing. He was frequently playing his keyboard, guitar or harmonica when everyone was gathered together. If he was not playing an instrument, you could find him in the center of the floor dancing and celebrating good times. He was truly a blessing to the Smith family, his friends and the larger Warren County Community. 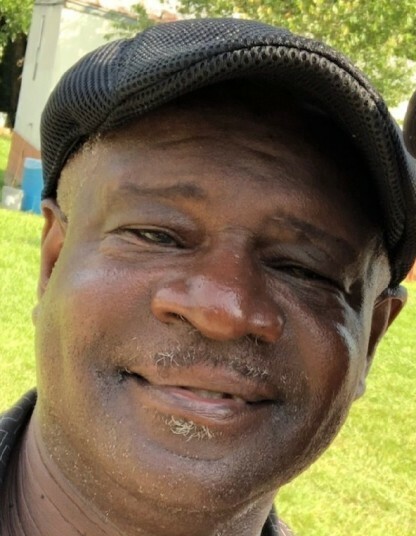 He leaves to cherish in his loving memory three (3) children; one daughter, Tyasha Jefferys, of Raleigh, NC; two sons, Jamar Jefferys, of Knightdale, NC, and Clemon Bailey, of Durham, NC; and one adopted son, Allen Henderson of Durham, NC. Five sisters, Annette Scarlette (Eric) of Manhattan, NY, Bertha Smith of Manhattan, NY, Dorothy Smith and Mary Harrison of Drewry, NC, Lillian Hawley (Ellis) of Henderson, NC; Two brothers, Clarence Crawford (Louise) of Richmond, VA, and Charlie Smith (Angelene) of Chesterfield, VA; Nine (9) grandchildren; and a host of other loving nieces, nephews, cousins and friends.
. Arrangements are incomplete and will be announced later by R.H. Greene Funeral Home.